Another tidbit for the Giants: because their moves have all been via trade, they have not made any FA moves that would offset receiving a compensatory pick for Landon Collins next year. So pencil in a 2020 3rd for them. Eric Berry has been released. Have to think the Niners will pursue either Clinton-Dix or Berry, unless they're targeting a safety with that early 2nd round pick. The defense badly needs someone who can play centerfield safety in that Seahawks style Cover 3. Can the Browns sign him? They're probably going to be in the running for him, they went after Earl Thomas but the Ravens paid him way more than anyone else was going to. Browns have only dropped to 4th most available cap space, pending a number of signings around the league that aren't on the books yet. Hey does anyone know what the Colts are doing? They showed up to free agency with over $100m of space and all they've done is re-sign one of their own. Foles will wear #7 for the Jaguars. 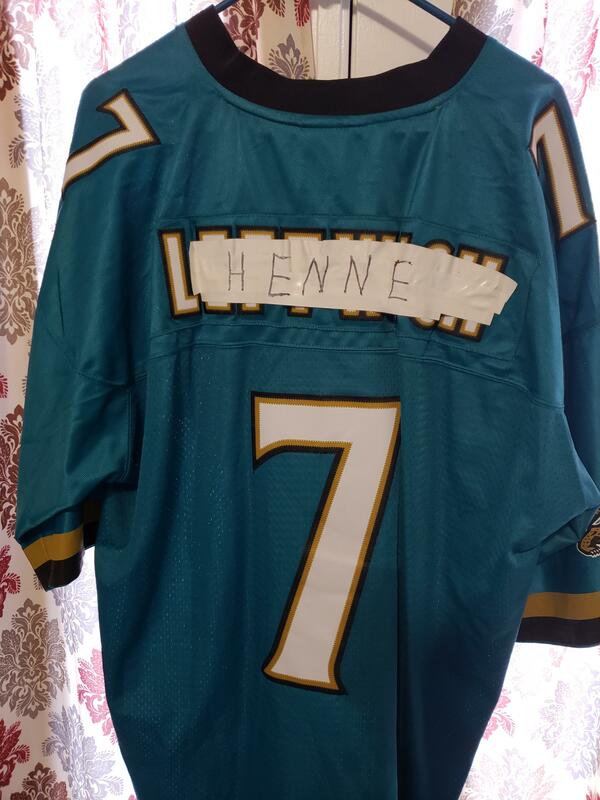 My jersey is gonna get another go! Giants gave Corey Coleman a 1st round RFA tender. They don't want anyone making off with any of their precious WRs! I love Oakland. They're my favorite. Niners sign Tevin Coleman, giving the team a healthy player in the RB rotation. They lost 3 RBs to season-ending injury last year, and then Breida played banged up. Alfred Morris was pulled off the couch and stuck onto the field. Not to mention the Shanny connection. Oh yes, this is a direct Shanahan acquisition. Coleman was one of "his guys" in Atlanta. He's better as a rotational back than an every-down back, which fits the situation he's stepping into. Team still has McKinnon coming back from the ACL, and Breida ran for 814 yards at 5.3 a pop last season. Going to be an absolutely awful backfield for fantasy owners, but easily one of the groups on the team I have the least concern over football-wise. Just saw that Teddy Bridgewater turned down and offer from Miami but stayed with the Saints instead. Smart move on his end. This is incorrect. He's currently visiting Miami. Raiders picked up Tyrell Williams, which is a good move by them, for once. He's a good deep threat with a guy at QB who used to throw deep. 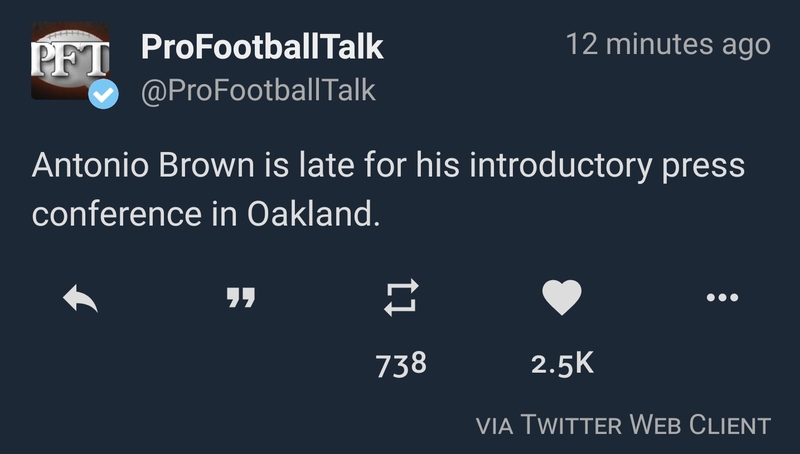 Let's hope that 2018 Checkdown King Carr was an aberration due to lack of talent. Cordarelle Patterson going to Chicago, which is likely one of the few spots who can rightly use him. He'll still be a complete nonfactor in fantasy, except on special teams. Cameron Wake goes to the Titans. Is he still productive? Dunno. But his experience will help develop Harold Landry, which is super important. Oh, and Devante Parker is still in Miami. Let the endless "this is the year he breaks out" articles be written all over again. Oh, and Cole Beasley and John Brown are going to Buffalo as they try and cobble together a WR corps. Buffalo is beginning to look like Baltimore North where they always have a sh*tty WR corps. Always. Well it wasn't incorrect when you said it. He was planning on staying in New Orleans, to become Brees' heir apparent. The problem is that he noticed the Cowboys have their eyes on Sean Payton, after they decided to not extend Jason Garrett after all. So when 2020 comes, it's an open question whether Payton is even there at all. 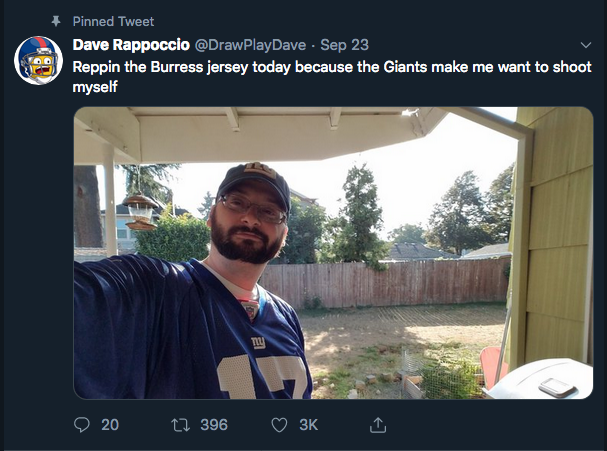 Draw Play Dave is not taking the OBJ news well. He made a comic version of that Tweet, btw. Khalil Mack is worth more to the league than OBJ. Really? That seems obvious to me. Pass rusher is way more valuable than wide receiver. The Giants survived 2017 without OBJ. Their passing attack dropped but not even that much (19th ranked). The Raiders pass rush completely disappeared without Mack, sinking to historic levels. It's much, much, much easier to build a passing game with replacement-level wide receivers than to try to rush the passer with replacement-level front 7 players. Dee Ford is worth less than OBJ. Well Ford is no Mack. Mack and OBJ are generational talents, Ford is not. But if Ford had back-to-back seasons like 2018 before coming available, his value would have been higher. His pre-2018 years were more productive than he gets credit for, but he still only really put it together last year. And even still, he's mostly a one-note pass rusher, purely a speed guy. It's a good note, but he doesn't have the range of pass rush moves of a Mack. OBJ's trade also included him being under contract already, with $16m of signing bonus that stays with the Giants. Niners had to negotiate a deal with Ford at 2019 prices and pay out all the guaranteed money themselves. We've heard rumors of OBJ wanting a restructured contract, but so far, nothing in reality. Oh, and I also think a lot of people talking about the OBJ trade compensation are *way* undervaluing Jabrill Peppers. He's not only a younger, cheaper replacement for Landon Collins, but he's arguably an upgrade. He certainly graded out higher at PFF last year. Peppers was a linebacker in college who had to change positions for the NFL. The Browns stuck him at free safety as a rookie, where he struggled badly. They turned him into a box safety this past year, and surprise surprise, a guy that was a linebacker in college is a better fit to play strong safety down in the box than he is a centerfielding single-high free safety. He's a freak athlete who also returns kicks. He was a "boom or bust" kind of pick who has already proven he's not a bust. There's reason to believe he won't be just a spot-filler, but rather a building block for that defense. Too bad, I was interested in him for the Niners, who were also talking to him, but it's not surprising the Giants are coming in with the biggest offer. 4 years, $37.5m with $23m guaranteed. Pretty healthy bump above where he was at before. Stele gonna back them Louisville QBs to the grave. Jackson needs to get the ball out of his hands. He's successful when he sees it, but he doesn't see it often enough yet. He's holding onto the ball too long and generating those pressures. Allen is a similar problem personified. He holds onto the ball an eternity, and throws it either when someone is wide open or when the pass rush gets to him. Difference here is that Allen is looking to throw deep like fellow Fresno native Daryle Lamonica, while Jackson's targets are closer to the mean. Rosen's numbers are interesting. He threw to tight coverage the most in the league, but he was throwing it shorter and faster than the other rookies. Unlike Allen, whose top pressure rate seems to come from holding onto the ball, Rosen's rank seems to have been acquired honestly. He was under constant pressure and was having to get rid of the ball quickly, forcing throws. His numbers seem to demonstrate his situation was the opposite of Mayfield's. EDIT: Changed "% of throws made under pressure" to the more correct "% of dropbacks under pressure" as the PFF numbers include dropbacks that don't result in throws, ie. sacks and scramble runs. He is a funny, funny man. Kareem Hunt suspended 8 games.